Whether you're looking for unique gifts to give to other Vancouverites or a souvenir for friends and family outside of the city, this guide to Vancouver-themed gift ideas is here to help. From local gourmet food and drink to First Nations art and Canucks memorabilia, there's something for everyone on your list. Vancouverites are foodies; they love gourmet foods. Food is also one of those Vancouver gifts that can be given to people you don't know well, or to people who live outside of Vancouver. Meinhardt Gourmet Food Gift Baskets - smoked salmon, foods local to the Pacific Northwest, BC cheeses, etc. 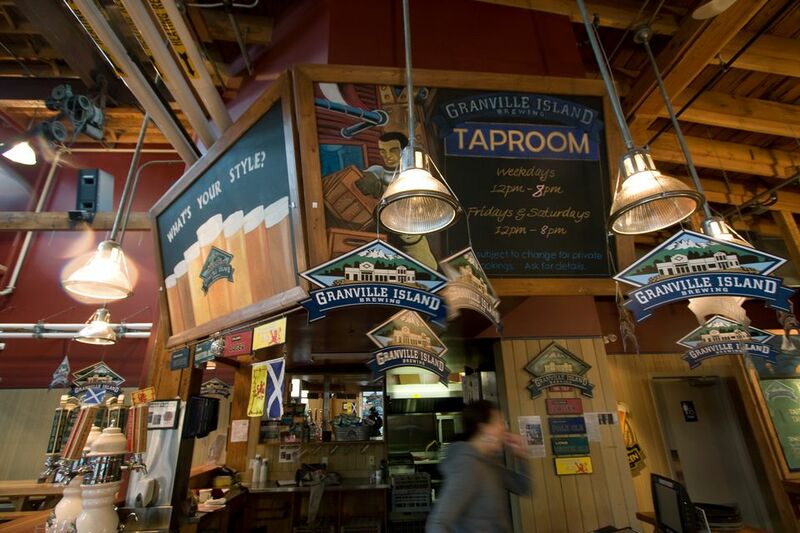 It's easy to find Vancouver gifts for people who enjoy drinking, especially beer aficionados. But local beer, which can make a great gift when paired with either a set of glasses from the brewery or a fun brewery label T-shirt, isn't the only alcohol made in Vancouver. You can find local wines and sake, too. Fashion made and designed in Vancouver is one of the most unique gifts you can give. Even better, you'll find options that run the gamut from high-priced and super-chic to mid-range to inexpensive streetwear. Begin your search at Vancouver's Punjabi Market (Little India), which offers something for every budget. The shops in the Punjabi Market have loads of inexpensive bangles and jewelry, purses, shoes, and budget Indian gifts and fashion, all of which make ideal gifts. There are high-end jewelry and fashion for more sophisticated tastes, too. If you can make it out to Surrey, check out the amazing ​Crossover Bollywood Se, which also has gorgeous Indian fashion and beautiful beaded handbags. When it comes to Vancouver gifts, it doesn't get any more unique than one-of-a-kind artwork. Buying contemporary art and paintings can be pricey, not to mention difficult unless you really know someone's taste in art. But almost everyone, locals and visitors alike, would love a piece of BC First Nations art, which includes fine art, bento boxes, jewelry, home decor, and ceramics, and offers a wide price range to fit many budgets. Love history and nostalgia? The Museum of Vancouver has teamed up with local Vancouver retailers to create fabulous artifacts that reflect Vancouver history and make ideal gifts. The fun, creative items include home decor (including rugs), pillows, accessories, key chains, Cascade beer glasses, and more, and are sold at shops around Vancouver. Visit the MOV gift site for details on all the available merchandise and where to find it. If you're ever truly at a loss as to which Vancouver gifts actual Vancouverites would love, you can always play to the odds. By which we mean the stereotype that all Vancouverites are outdoorsy and do yoga. To some extent, the stereotype is actually true. So you can be sure gift cards to any athletic clothing and equipment companies will be used. Mountain Equipment Co-op, Lululemon, and The North Face are just a few popular options. Even if the Vancouverite you're buying for isn't into sports and exercise, they still need to keep warm in the winter. It's another stereotype that everyone in Vancouver loves hockey and our beloved Canucks, but chances are, any Vancouver sports lovers on your gift list do indeed love the Canucks. Canucks tickets would be an amazing gift, but you can also find great fan gifts that will fit any budget at the Canucks Team Store or you can order a Canucks-themed gift basket online.